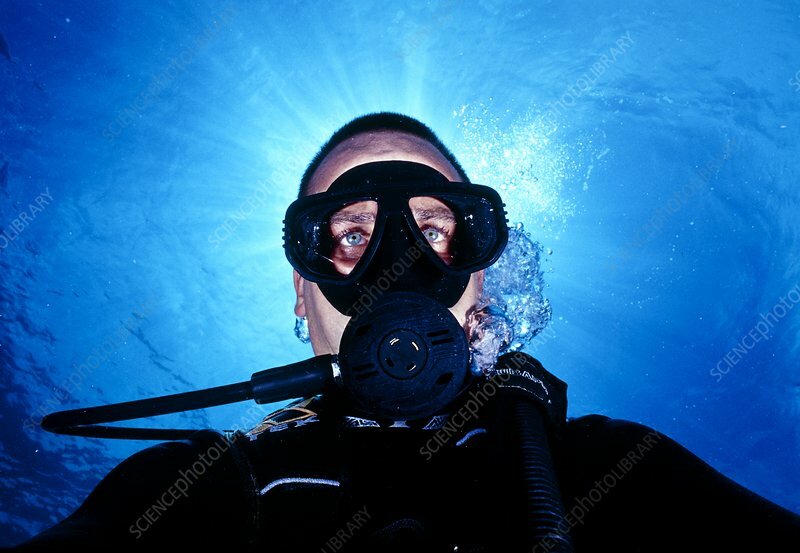 Scuba diver's face. The mask allows the diver to see while underwater. The mouthpiece is connected to a tank of compressed air held on the diver's back. Scuba is an acronym for Self-Contained Underwater Breathing Apparatus. Diving is a popular pleasure sport. Photographed in Malaysia.